Ian McEwan is not an author to shy away from tackling contentious subjects, as shown in Saturday and Solar. His latest novel, The Children Act, turns to High Court cases where a family’s religious beliefs are pitted against the secular court and its representatives. The narrative follows a High Court judge, Fiona, interweaving her court cases with her ailing marriage. As she comes to a decision regarding the fate of a teenager refusing a blood transfusion on religious grounds, her husband Jack demands the opportunity for one final chance at passion with a stranger before old age. At the centre of the novel is a teenage leukaemia sufferer and Jehovah’s Witness, Adam, who refuses to accept the treatment that could save his life. Choosing such an obviously controversial target could easily descend into tastelessness, but McEwan is a better writer than most who would try to tackle this topic, and handles the interaction between religion and secularism masterfully. Anyone familiar with McEwan’s writing and standpoint upon religious belief will be unsurprised by the way in which events unfold, but the novel’s end remains pleasingly inconclusive. Fiona’s decisions, both in and outside the court, ultimately fail to safeguard Adam’s well being which the High Court ruling is bound to protect. Occasionally McEwan’s voice breaks through a little too forcefully (as when Adam states that ‘My parents’ religion was like a poison and you were the antidote… It was like a grown-up had come into a room full of kids’, and in the reactions of Adam’s parents to the ruling), but the courtroom scene where Adam’s parents are cross-examined at least allows for the opposing side of the debate to have a fair hearing. What I found less convincing about this novel was the way in which research and imagination were balanced. The Children Act is clearly the fruit of meticulous research and consultation with professionals within the field (as the acknowledgments page will testify). While this means that Fiona’s perspective and voice are entirely believable when discussing her cases, it occasionally runs the risk (although to a lesser extent than Saturday) of reading like a research journal. Where research ends and McEwan enters into the fantasy of Fiona handling her marriage, I was disappointed by his characterisation of the female voice, running a little close to a caricature of the childless-female-professional. His descriptions of Fiona’s engagement with music also seem somewhat stilted; casting her as an amateur pianist allows for plenty of references to Bach and his logical fugues. Fiona, in her secular rationality, finds the construction of the pieces therapeutic as they chime with her desire for methodological rigour, which is nothing if not a well-worn parallel (and mildly ironic, given Bach’s profoundly held religious beliefs). As a case study of the inner workings of Britain’s legal system, this short novel is exceptionally crafted, the prose style emulating the debate format of a courtroom. Unless you are hoping for McEwan to mount an unexpected and impassioned defence of religious belief, his treatment of the court case in question is captivating in its eloquence and sensitivity. The only element that seemed slightly unsatisfying was the parallel storyline of Fiona’s marriage. Fiona is characterised as such that she continually chooses not to address the problem of her marital strife, meaning that it is marginalised in favour of her work, but this is somewhat frustrating when her disagreement with Jack is so beautifully laid out as an important premise at the start of the novel. 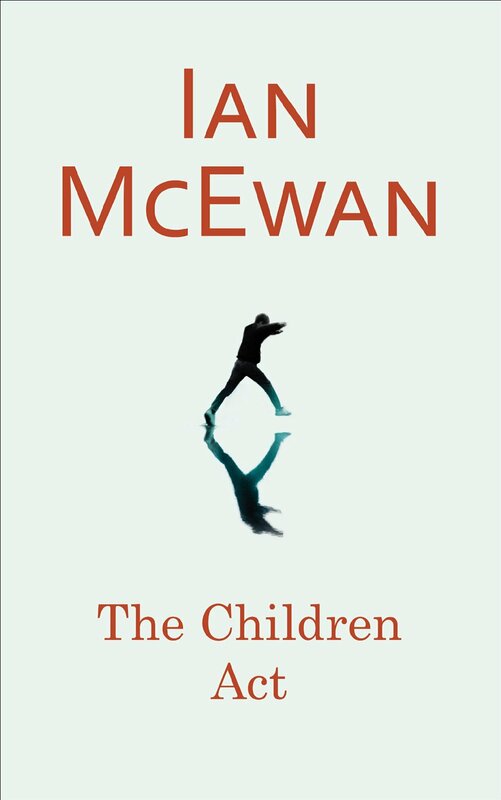 While The Children Act doesn’t reach the heady heights of Amsterdam and some of McEwan’s earlier offerings, it surpasses his more recent books in terms of both conception and execution. He raises questions about salvation and how we find meaning in life, and whether or not you agree with his answers, his explorations remain among the most thought-provoking in contemporary literature. The Children Act is available to buy from most bookstores, RRP £16.99 ISBN 9780224101998.